Welcome to Pete Wray’s web site. 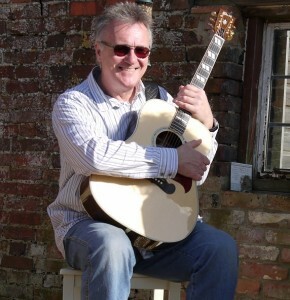 I am a Lincoln based guitarist specialising in fingerstyle acoustic music. I am usually accompanied by Helen who sings and adds percussion. We are constantly on the lookout for new material and our style is maturing with age! We are looking forward to more performances, so please contact us if you enjoy the music on this site and would like us to play at your venue. We welcome enquiries. We have a love of old blues, ragtime and contemporary music but play various styles. A lot of music has some “blues connection” and if it doesn’t we play it if we like it! The music is based on finger style acoustic guitar and is developing all the time. Some flat picking tunes are now included. 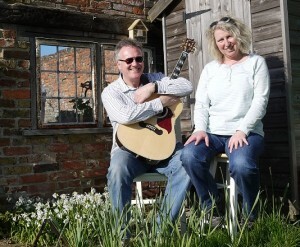 Helen and I have played support for several Folk Stars. Including:- John Renbourn, Vin Garbutt, Steve Tilston, Johnny Dickinson, Geoff Muldaur and Mary Flower. Sadly, some of our heroes including John Renbourn and Vin Garbutt are no longer with us. We miss them. For the last few years we have been playing regular lunchtime sessions in Lincoln to raise money for good causes. We play one session a month at Lincoln Drill Hall and occasional sessions at The Collection Café in Lincoln. So far over we have raised in excess of £2800 which has been divided between a number of important charities, both national and local. Our thanks go to all those who have donated. I am also running a free guitar workshop at the Drill Hall. These sessions are intended for acoustic players of all abilities. Please email me for more details if you are interested in attending.